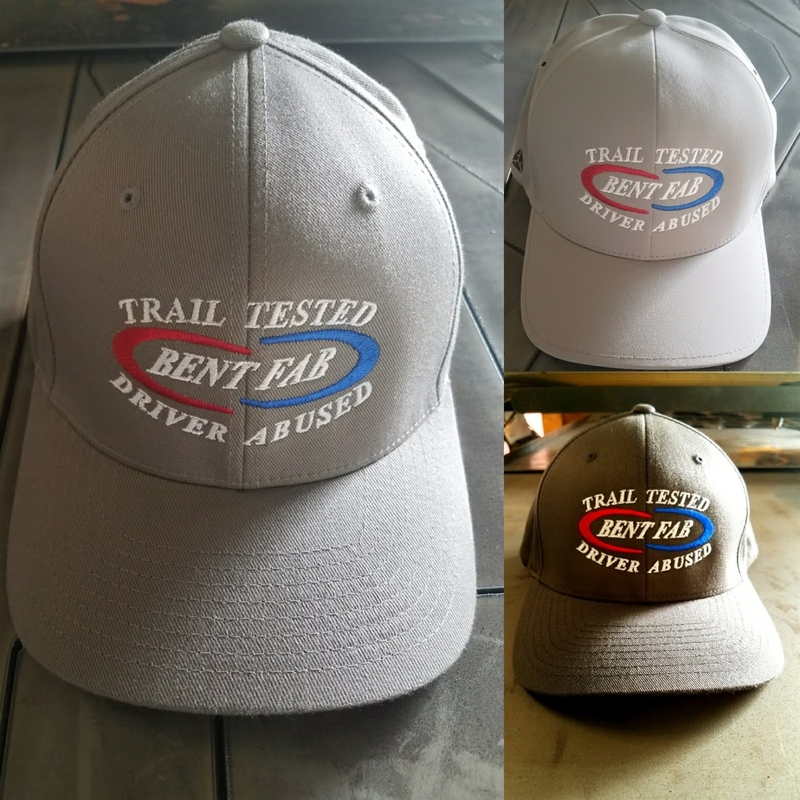 Bent Fab embroidered hats are embroidered locally in Arizona. They are available in 3 color light grey, dark heather grey, and black with a mixed grey printing. All with red, white, blue stitching. S/M Small - Medium 6 3/4"-7 1/4"
L/XL Large - XLarge 7 1/8"-7 5/8"